In keeping with the focal theme of this issue of the RECORDER, we decided to bring to you an interview with someone also from the environmental sector. Consequently, we approached COSIA (Canada’s Oil Sands Innovation Alliance), an alliance made up of Canada's biggest oil sands producers, representing 90% of oil sands production, sharing expertise to improve environmental performance. This interview is with Jonathan Matthews, Director, Greenhouse Gases EPA at COSIA, and we asked him questions that would probably be on anyone’s mind. Jonathan was very responsive with his replies, and shared with us the information we were seeking. Some of the salient points he makes: improvements have been made in water use, tailings management, reclamation and GHG sequestration; COSIA innovations could make the industry more resilient to market fluctuations; some innovations could potentially be useful outside of the oil sands sector; he also mentions an international competition to transform CO2 into a valuable product. COSIA is a good example of collaboration between science, business, and government, with innovative outcomes. 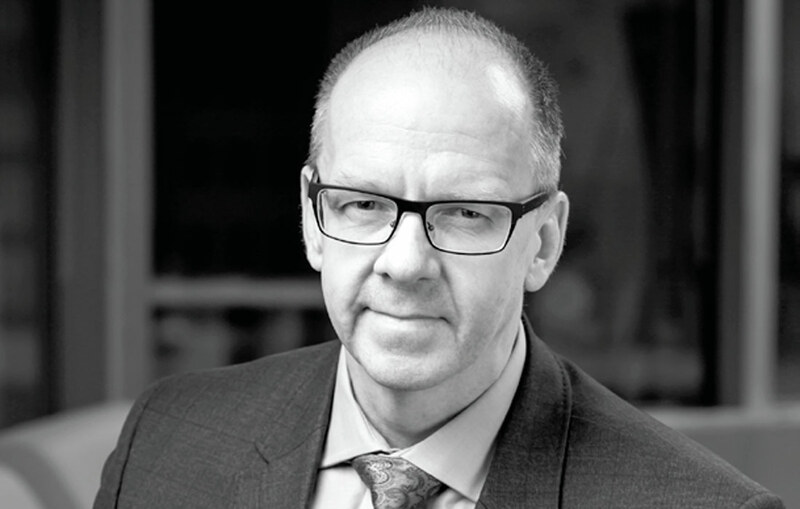 After working as Vice President of Statoil’s Heavy Oil Technology Centre, how did you decide to switch over to COSIA? Due to evolving corporate strategy, the Heavy Oil Technology Centre (HOTC) was closed after being successful in creating a vision for innovation value creation. Alan Fair, COSIA’s first Tailings Director, was preparing for retirement just as I was preparing to ‘turn out the lights’ at the HOTC, so the opportunity to take on the role of Director of the Tailings Environmental Priority Area (EPA) was very appealing. Having been very actively involved in various oil sands collaboration initiatives since the 1990's, I was excited about the opportunity to help COSIA succeed as the innovation hub for Canada’s oil sands. COSIA stands for ‘Canada’s Oil Sands Innovation Alliance’, which is an alliance of oil sands producers. Tell us about its goals, how it is structured, its primary functions, where it gets its funding, etc. The COSIA alliance is made up of Canada’s biggest oil sands producers, representing over 90% of Canada’s oil sands production. The goal of COSIA is to improve the performance of the oil sands in a way that enhances responsible and sustainable growth. This means deploying technologies and sharing best practices in a manner that leads to measurable, accelerated improvement in environmental performance. The unparalleled collaboration occurring within COSIA allows us to draw on and combine technology expertise and innovation in every aspect of oil sands production and development. We also have an Associate Member program. These are organizations that are strongly aligned with the COSIA mission and wish to work collaboratively to deliver the innovation that will lead to improvements in environmental performance. The drive and mandate for COSIA activities comes from the CEO level of each of the member companies. However, the organization seeks to be open and inclusive to suggestions for innovation from any, and all, interested parties, whether they are small or large, local or international in nature. Funding to run COSIA comes 100% from the membership; funding for projects comes from members and is frequently leveraged through support from government agencies, vendors, and increasingly, private capital. When it comes to oil sands, there are four areas that need a great deal of focus – water usage, land reclamation, tailings and the release of greenhouse emissions into the atmosphere. Tell us how COSIA is trying to reduce their effects. Simply put, COSIA members are constantly on the lookout for ideas that have the potential to be deployed in a way that leads to improved performance. COSIA articulates ‘Opportunity Areas’ and ‘Gaps’ for each of the four environmental priority areas where the greatest opportunities for improvement reside. Some of these ‘Opportunity Areas’ and ‘Gaps’ are converted into ‘Challenges’ that are published for all to review, coupled with a standing invitation to submit project ideas that have the potential to deliver meaningful performance improvements through COSIA’s ‘Environmental Technology Assessment Portal (E-TAP)’. COSIA comprises companies that are otherwise competitors. How are they made to come together as collaborators or partners? The founding members of COSIA came together and signed the COSIA Charter, symbolizing their formal commitment to collaborate on oil sands innovation. They recognized that collaboration is a better model for accelerating environmental performance, than by using a ‘go it alone’ strategy. The beauty of the model is that risks and costs are shared, along with the benefits of the technologies and performance improvements. As well, there is tremendous value in sharing best practices to avoid trying again what others have previously attempted without success. In the last 5 years that COSIA has been in existence, how do you objectively evaluate its performance? How has COSIA fared in each of the four areas we alluded to earlier? The purest measure of success is improvement in performance that is attributable to the efforts of COSIA. Anyone participating in COSIA meetings will attest that the spirit of collaboration is alive and well. In an industry where the time to advance physical infrastructure is often measured in decades, innovation can take time, but the COSIA model shortens those timelines. I see ample evidence that the collaborative efforts are paying off in areas such as water use intensity for in situ and mining operations and the successful deployment of a suite of new tailings technologies that are improving oil sands tailings management. I also think excellent progress is being made in the areas of reclamation, and I am very impressed by the performance of Shell’s Quest Project, which has permanently sequestered over a million tonnes of GHG gases. The industry has a track record of innovation and all signals indicate that there is much more innovation to come that will further reduce the environmental impact of oil sands production, improve sustainability and make the industry more resilient to inevitable market fluctuations. How are technologies or knowledge developed within COSIA? Do the member companies work on their own, or seek outside collaboration? Would the developed technologies be beneficial and/or available to other sectors or third parties? I have a strong affiliation with the “I” in COSIA. The “I” is for innovation… now it will be obvious to most that this means technological innovation. However, it also represents a commitment to be innovative in how we engage an increasingly connected global innovation ecosystem to help the industry find great ideas and solutions that will help the industry meet our ambitious performance improvement aspirations. So the answer to your questions is “all of the above”… the oil sands producers work on their own, they work with each other, they work with academic and government institutions, they work with venture capitalists, they work with equipment, chemical, and service providers of all shapes and sizes. It is desirable that solutions developed will be useful to other parties outside of the oil sands sector; although not a prerequisite to garner the attention of COSIA members, it provides an opportunity for collaboration across sectors. Reduction of carbon footprint in the oil and gas industry comes with its own price tag – the higher it is, the less likelihood of its implementation. How challenging is its implementation, or will its implementation be, in the oil and gas sector? I want to start my answer by suggesting that your premise is not a universal truth and in fact there are many things that have been and are being done to reduce the carbon footprint that also enhance cost efficiencies. Something as simple as insulation is a clear example of how an up-front investment in efficiency can reduce GHG emissions and result in savings…a win-win that will almost always make sense. There are many instances where such efficiencies have already been realized. It is also true that there are technologies that may be prohibitively expensive to justify deploying, and the COSIA members frequently view such circumstances as impediments to be overcome through perseverance and ingenuity rather than impediments to deflate ambitions. For example, the cost of capturing and sequestering carbon dioxide from the exhaust of ‘Once Through Steam Generators’ (OTSG) that are used to produce the steam used to drive the Steam Assisted Gravity Drainage (SAGD) process used by many oil sands producers, is prohibitively high to justify investment. This doesn’t mean that the technology doesn’t have potential to be part of the solution. Instead, it means that industry is seeking out ways to make the process more cost effective and energy efficient through collaborative research and development efforts. Do you think a carbon-neutral barrel of oil will ever become a reality? Let’s hear your forecast on it. There is potential for a carbon-neutral barrel of oil sands on paper. What we also need is a carbon-neutral solution that is cost competitive in a very competitive global energy market. So the challenge that we are working on with the scientific and engineering communities globally is to ascertain how we can drive down the cost of the technologies that have the promise of substantive reduction in GHG emissions… it is a challenging task; however, given the strong industry alignment and focus on delivery, I have no doubt the efforts will pay off. As you mention, technology is being developed to prevent emission of greenhouse gases (e.g. CO2, CH4) into the atmosphere. Are efforts being made to not just put them away in some form, such as carbon capture and sequestration, but use them in a more practical way? Tell us about other ways in which carbon dioxide or methane emissions could be transformed into profitable by-products, fertilizer production, etc.? The potential to put carbon dioxide or methane to good work instead of releasing to the environment makes perfect sense and is already being done. For example, produced gases from in situ operations that previously would have been ‘flared’ are captured and used for condensate, or to produce steam needed to support oil sands operations. There are also opportunities to use methane and carbon dioxide to enhance oil production from oil sands reservoirs, while at the same time preventing release to the atmosphere. These opportunities are quite mature and are being used to an increasing degree in a way that is good for the environment. There is, however, still a lot of GHG being emitted globally, and COSIA members are interested in seeing even more carbon dioxide and methane being captured and converted into useful products. In fact, COSIA members are partnered with NRG Energy, a leading integrated power company in the U.S., in backing XPRIZE Foundation’s NRG COSIA Carbon XPRIZE, a $20 million global competition to uncover technologies capable of transforming CO2 into a valuable product. The competition is well advanced and we are excited to see which of the semi-finalist teams (from Switzerland, India, China, Great Britain, Canada, and the United States) make it through to the final round of the competition. The Carbon XPRIZE competition is a great example of how COSIA takes on unconventional projects and provides a platform for solutions from around the globe. How do you look back at your career so far? Has it been a satisfying experience? What are your aspirations for the future? I feel very blessed to be able to contribute to the continued evolution and success of the oil sands industry. From humble beginnings starting in Fort McMurray in 1991, I have had the opportunity to be active in the collaborative innovation space and contribute to the maturation and evolution of the oil sands industry in a way that fills me with pride. I also know that we are long from done, and I have so much more energy to continue work on the innovation agenda through COSIA and with other interested parties to deliver future prosperity, and improvements in environmental performance that I will be proud to share with future generations. What would be your words of advice for school graduates who would like to pursue careers in science? That’s easy. Commit to curiosity and always ask “why?” Sometimes asking “why” is interpreted as a source of ignorance; however, I think exactly the opposite is true. Science is so deep and sometimes mysterious that no one could ever understand all there is to be known. The business of being forever curious and open to learning – whether on matters of the head or the heart – should make for a truly enriching and rewarding life and career.